Common complications of Botox are ptosis (drooping eyelid), crooked smiles, and asymmetrical eyebrows. These all derive from Botox migrating and interfering with muscles around the targeted area. Does this mean that Botox is not a reliable or safe product? The most common reasons for these complications rest with the practitioner and the patient, and not on the product. If you were in need of surgery, would you allow just anyone to operate on you? Would you choose the surgeon that gave you the lowest price or had the earliest time slot open? Unfortunately, many people apply these factors when looking for Botox injections. The skill and expertise of the practitioner is a major factor of treatment. Dr. David Ellis MD, FRCSC, FACS., a Toronto Facial Plastic Surgeon and Professor at the University of Toronto’s Department of Otolaryngology was quoted saying “It’s important to be aware of the potential complications, and imperative to choose an experienced surgeon,”. 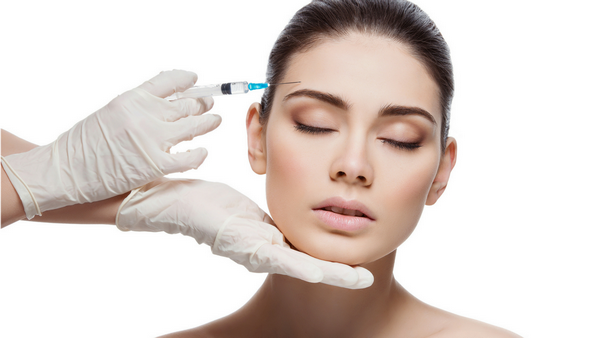 Botox injections are simple; however, it is important to make sure that the right amount of Botox is injected into the right area for that individual patient. An experienced and properly trained practitioner will take into consideration the patient’s own facial anatomy to make certain that the Botox does not migrate from its targeted location and interfere with other muscles around the face. The next factor to a Botox treatment is the patient. Before and after Botox injections, it is also what the patient does and does not do that will affect the results. For example, certain products such as aspirin, fish oils, etc will raise the likelihood of bruising at the injection site. If a patient rubs the area or engages in strenuous exercise after Botox, it is possible to relocate the Botox from the intended site which may create negative side effects. This is why a patient’s aftercare is essential to ensuring the best results. So should you fear Botox? Do research and choose a professional experienced practitioner, and don’t be afraid to ask questions. Take care of any instructions given to you from your doctor before and after your treatment. By taking these steps you can be relaxed and confident that your treatment will give you the desired results you are looking for. For more information on Botox or to book a free consultation at Lasting Looks Clinic in Toronto, visit www.lastinglooks.ca or call us at 416-234-2110.